Malaysia holidays offer something for everyone: a modern capital city where the old and new live side by side, UNESCO-designated cultural cities oozing with charm, ancient rainforest where monkeys peer down from the trees and adventure awaits the brave, and some of the most beautiful beaches you never knew existed. The secret of all that Malaysia offers is still well kept so the time to go is now. Every trip we plan is tailor made so that you get the perfect Malaysia holiday. For inspiration and some of our favourite routes, take a look at our sample itineraries but remember, there’s far more to do and many other ways to experience this diverse nation. Better yet, send us an email or give us a ring (0207 112 0019) and let us know what you’re keen to see and do. Our Malaysia expert would love to help plan your trip! Get a taste of Malaysia’s diverse geography and culture as you venture north from Kuala Lumpur to Penang and onward to Langkawi. A bustling capital city, a multicultural heritage town locally known for its food scene, and ancient rainforest teeming with wildlife that leads straight out to white sand beaches. An excellent introduction to Asia for young ones with no internal flights. 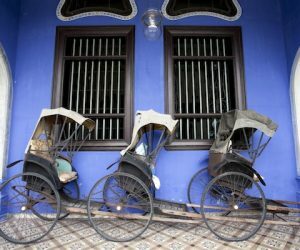 Start your exploration in Penang, head south to the island of Pangkor for a bit of beach time in a true home from home then end in Kuala Lumpur with some family-friendly site-seeing. 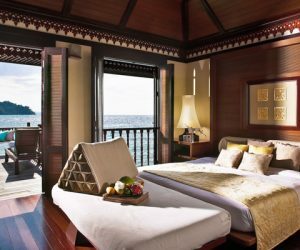 See the highlights of Malaysia’s west coast in style staying in some of the country's most luxurious boutique hotels. Whitewater rafting, abseiling down a waterfall, trekking through the rainforest, bicycling through village lanes, snorkelling in a marine park: Malaysia offers a great holiday for those who want to keep active. Dig into the country’s geography and culture with one adventure after another. Get a true feel for Malaysia by exploring its capital, spending time in two charming heritage cities, trekking through the rainforest, visiting the highlands, and dipping your toes in the sand on a gorgeous island surrounded by clear warm water. Along the way you’ll see caves, temples, tea plantations, canopy walkways high in the rainforest, street food vendors, skyscrapers, monkeys, and more. Malaysia is developing a reputation as a unique food destination and George Town on the island of Penang is at the forefront. The country is also rich in cultural heritage with traditions, architecture, art, and ways of life brought by the many nationalities and ethnicities who call the peninsula home. Vietnam, Thailand, Malaysia: nations known for great food. Taste your way through three bustling cities, two UNESCO-designated heritage cities, and one of Thailand’s beautiful beaches. Try your hand at preparing traditional recipes in cookery classes, bicycle past rice paddies, zip through Saigon on a motorbike stopping for street food, let a local auntie tell you stories while plying you with dessert: this is an epic foodie tour. Travel from one capital to another by way of two gorgeous islands. You'll get your fill of big city life, a dollop of wildlife and rainforest, and some of Southeast Asia's most stunning beaches. This itinerary is only available October-May.